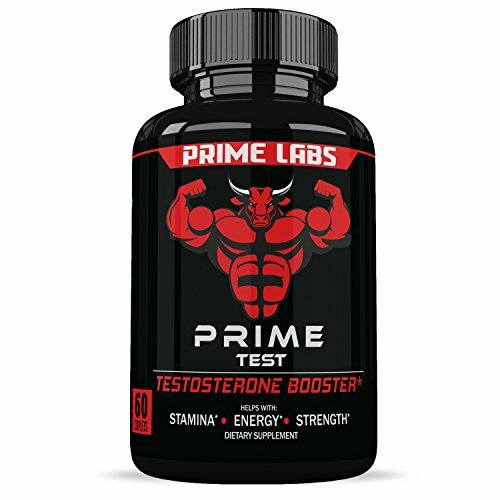 Prime Test Natural Booster for Strength and Energy, Pills that Build Muscle Fast and Burn Fat. Suffering from low energy impacts strength, stamina and mood. Prime Test is a natural booster that revitalizes and restores your vitality. A daily supplement that naturally increases vigor, can help fight belly fat while having more energy to help create lean, healthy muscles. Helping to restore lost vitality, Prime Test can give you the stamina, confidence and improved energy you need to perform better physically both in and out of the gym. Crafted in an FDA registered facility, our formula contains only the best natural ingredients, including Horny Goat Weed, Tongkat Ali Extract, Saw Palmetto Extract and other essential health boosters.